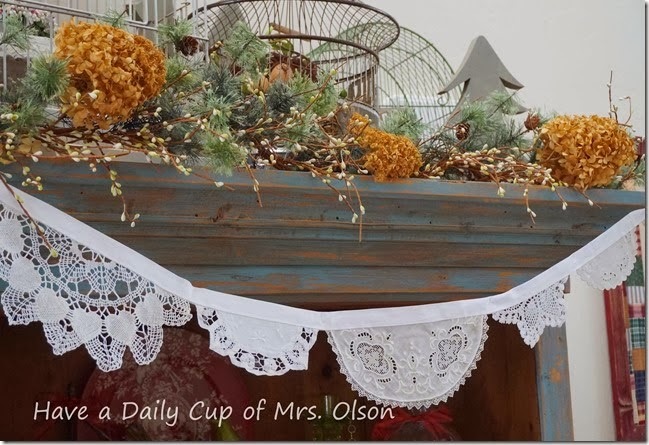 Oh my goodness, it's already time for another fun Thrifty Nifty Tuesday party. I am so happy that you are here, and ready to PARTY!!! Here, I shared a new addition in my kitchen. Click here, to see more. I also shared some wonderful tile grout cleaner. Click here, for more info about it. 1. Please have a separate link to this party in your post (not a mass link page) or add my party button (you can find it located under my header/buttons) to the post. If there is not a separate link, you will not be featured and/or could be deleted. I am hopefully bringing you traffic and I would appreciate the same. 2. No more than three links per person. Linda...I'm a little jealous of your warmer weather. Then again...I'll be happy come summer that I'll be able to 'play' outside when you're stuck inside with the air. Hope you have a great week and get a lot done in your great weather. I am rushing to get some painting done - finally a day over 60 degrees! Thank you for hosting. Your so lucky! Thank you for hosting Linda and have a great week! Great features Linda...thanks so much for hosting!! I have to come see that special grout cleaner right now! Hi Linda, thanks for hosting Nifty Thrifty Tuesday, love joining in. Have a great week. Thank you so much for the party, Linda! I hope that you have a great week!!! I finally got a post up - first since Christmas!! This was a fun project so I thought I would stop by and share. Hope you guys are well - I bet you're already counting the days to beach time! Linda, thanks for hosting us once again!I'm off to visit some links and to check how to clean that grout ;) Have a great week! Hi Linda...thank you so much for the party!!! Grabbing a cup of coffee and heading on over to check out your features of the week! Wishing you luck with your paint project!!! Thanks so much for hosting Linda!! 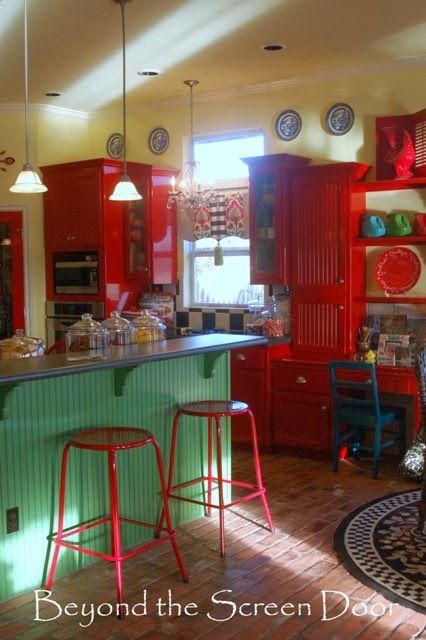 I'm in love with that red kitchen you featured! So fun! Thank you for the great party dear Linda! I hope I always follow your directions for the party correctly! Please let me know if I'm missing something, I'm not that SMART, lol! Have a lovely week. Oh...you are so lucky my friend! hi Linda, thanks for the party! I do love your chippy paint cupboard door frame in your kitchen, a very unique and fun decor piece! Thank you for hosting the party. Hope you have a wonderful week. Looking forward to all the great inspiration here...thanks for hosting, Linda! Wow thank you so much for the feature, it is greatly appreciated. Also thank you for hosting the party, have a great week. Thank you so much for hosting! 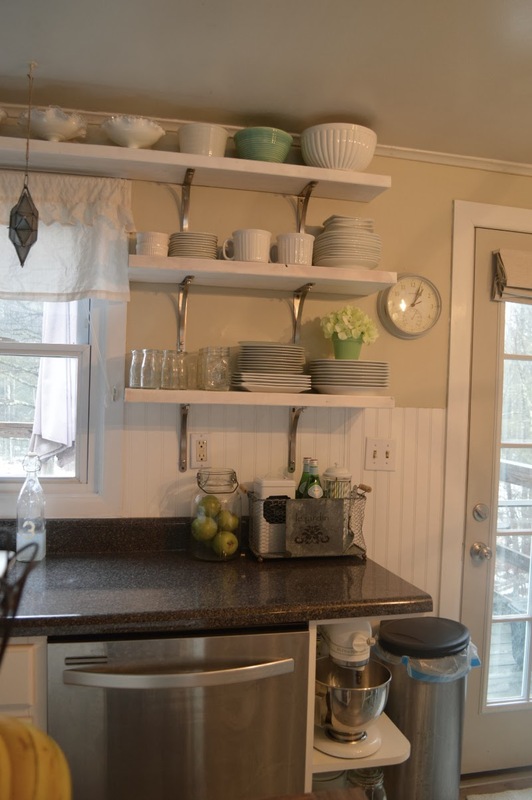 The open shelving in that kitchen is just so fun. Have a blessed week. Thanks for hosting Linda. Have a great week. Thanks for hosting Linda. I loved the post on the grout cleaner. I need to give that a try. I'm loving all the fabulous features! Great party!! Have a very happy and creative week!! Wow!! Hard to believe you are coming up on your 200th NTT!! That is awesome! I've linked a project.....thanks for hosting! Wow, thanks for all the fun party hosting, Linda! So much to look at today! Thanks for hosting the party. Hope you're staying warm!! !